It was announced back in July that 90 Day Fiance star Danielle Jbali had signed on with management firm GR Media, and that Danielle was in talks to follow in the forklift footsteps of GR Media client Mama June Shannon with her own makeover reality show. But, just like with Mohamed, Danielle’s relationship with GR Media was short lived. Ok let me try this again. I posted this statement an hour ago but it got deleted. I would like to let my fans and supporters know I am parting ways with manager Gina Rodriguez and Brandilyn Snail. I am sorry to my fans for posting all the click bait that was not my idea. I love talking, sharing photos and giving updates on my life and I was being prevented from doing that. UPDATE – We spoke with Gina Rodriguez of GR Media, and her side of the story is dramatically different from Danielle’s. Gina says it was her decision to terminate their relationship after Danielle exhibited “extremely unstable behavior.” Things got so bad that Gina and her business partners were considering a restraining order! Click here for more details. After her announcement, we reached out to a source close to the situation for the inside scoop. “They did not want her posting, commenting, or answering questions,” the source says of GR Media’s reaction to Danielle’s recent social media postings. [UPDATE – I wanted to clarify that it was Danielle’s responses to negative comments that were the biggest point of contention, and that the social media blackout was also due in part to her potential makeover show.] 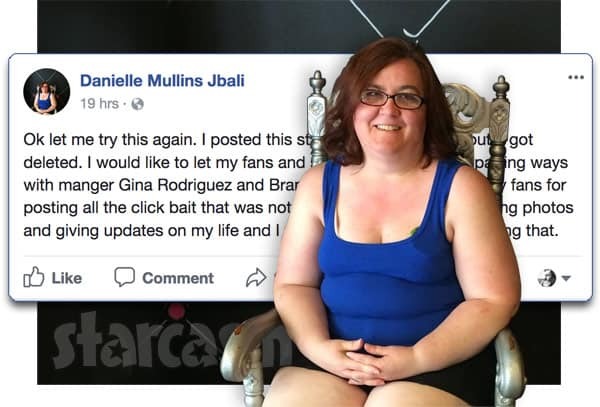 “Danielle was answering tweets last weekend and Gina b!tched at her for doing it,” our source reveals, adding that Danielle was also instructed to stop posting photos of her family on Instagram and to halt her 90 Day Fiance episode reaction videos with Periscoper John Yates. So what about the makeover show? Our source says that it was moving along, and that Danielle was set to work with Mama June’s trainer Natasha Fett, who was also on From Not To Hot. “Danielle had already lost six pounds in preparation,” says the source. 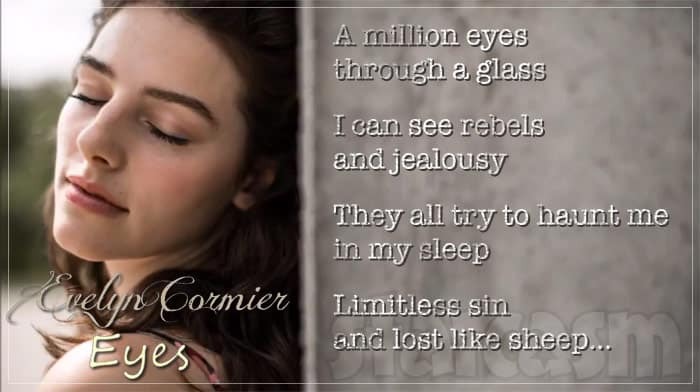 We feel the same as Danielle! Given what a HUGE success From Not To Hot was for WEtv I simply CANNOT IMAGINE that another production company won’t be contacting Danielle soon after this post is published about working together on a similar project. To be honest, I’d be surprised if Sharp Entertainment, the company behind 90 Day Fiance, isn’t looking into doing it themselves. In VERY related news, GR Media recently announced on their Instagram page that they had signed Danielle’s 90 Day Fiance: Happily Ever After co-stars Anfisa and Jorge Nava as clients, but only days later Anfisa laughed off the post and revealed that she and Jorge had elected to go another route. “Great news!” Anfisa posted on Instagram late last month, “Jorge and I have signed with David Weintraub & DWE talent for management & representation!” DWE’s roster of talent is very similar to that of GR Media, and includes recognizable names such as Courtney Stodden, Scott Disick, Ray J, Gretchen Rossi and Vinny Guadagnino. 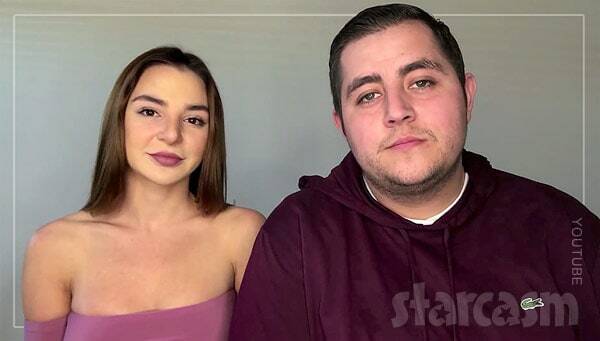 We were wondering if Anfisa’s decision was affected by input from Danielle after her experience with GR Media, but our source says that is not the case, and that Danielle and Anfisa never talked about it. Although it is unclear if we will ever get to see Danielle on her own makeover reality series, it is VERY clear that we can all see her on the final segment of the EPIC three-part 90 Day Fiance: Happily Ever After: The Couples Tell All special airing this Sunday night at 8/7c on TLC!